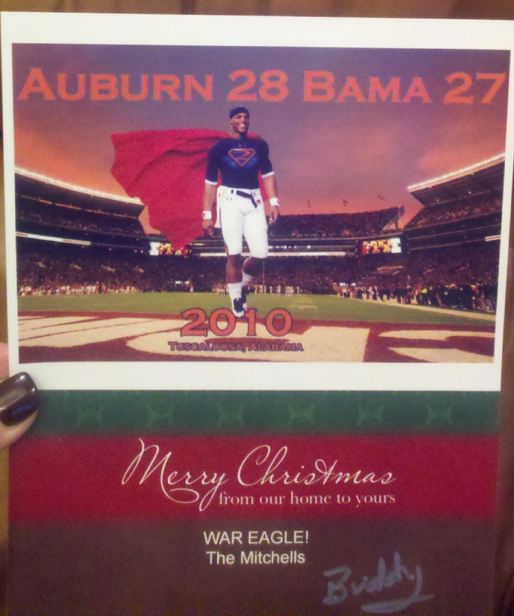 “T’is THE Season” continues with this delightful Christmas card sent The Malzahns from The Mitchells, Merry Christmas. Assuming this Buddy Mitchell to be friend-of-TWER Buddy Mitchell. Well done, Buddy. At what point will Cam Newton items become vintage? This is a profound mystery. T’is TWER policy to end / begin every Christmas-related post with the phrase “T’is THE Season”. … and check out the Photo of the Day archives.